The auto industry around the globe spent the last decade bringing electrification into the automobile powertrain. Today we now have pure battery EVs, gasoline-electric hybrids, plug-in hybrids, and from GM the eAssist hybrid. Various powertrain choices in addition to the gasoline or diesel engine are now available for consumers to choose. Introduced by Buick on the 2012 Regal, GM’s industry-first eAssist is now available on the 2013 Malibu ECO, the first Chevy to use this technology. 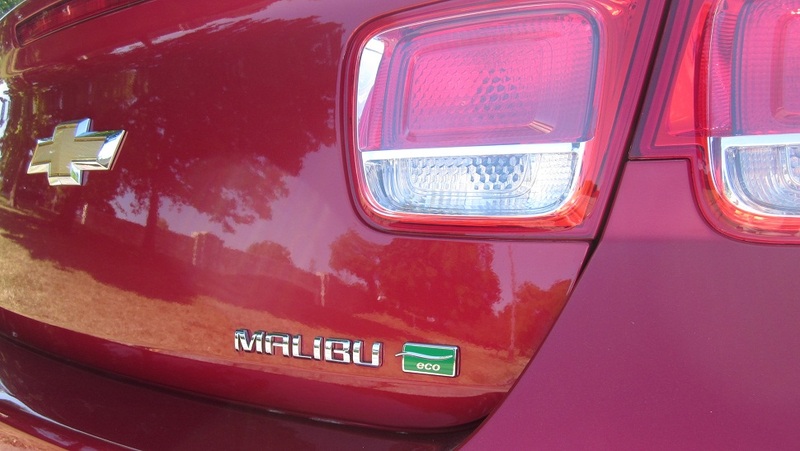 The Malibu ECO is a mild-hybrid. It combines a 15-kW electric motor and 0.5-kWh lithium-ion battery with a 2.4-liter gasoline engine. The 182HP gas engine is mated to a six-speed automatic. And of course all this new technology is in the name of reduced emission and increased fuel economy. 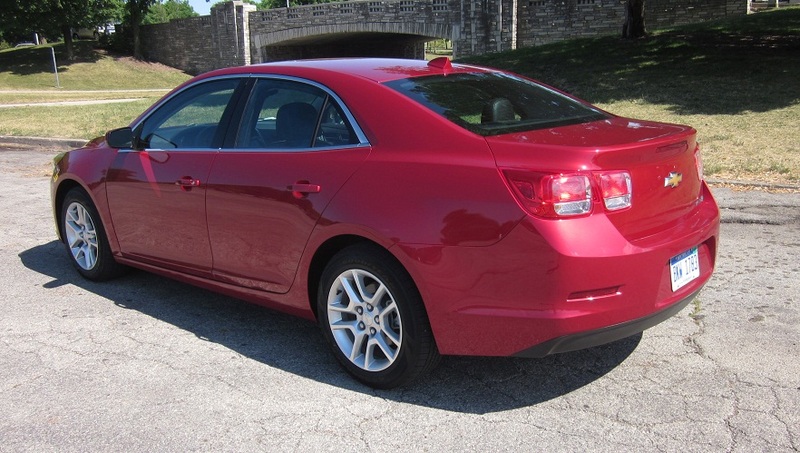 Chevy says the ECO is the most fuel efficient Malibu ever. It has EPA fuel economy ratings of 25 city mpg and 37 highway mpg. Chevy has also said that the non-ECO 2013 Malibu should get over 30 mpg highway. We’ll have to wait for EPA’s numbers. 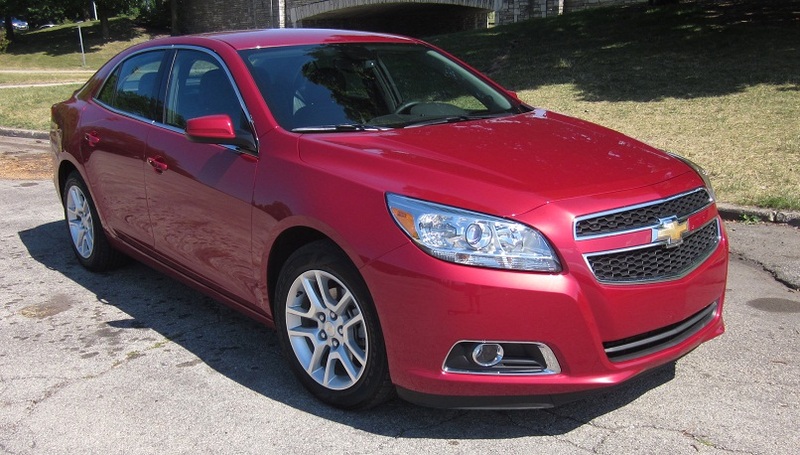 But for a comparison at this time, the 2012 Malibu was rated 22 city mpg and 33 highway mpg. Along with the eAssist technology the Mailbu Eco has an aerodynamically optimized design and uses of fuel-saving technologies that help increase highway fuel economy. Features include active grille shutters and low-rolling-resistance 17-inch Goodyear tires mounted on lightweight aluminum wheels. The Malibu Eco can travel up to 580 highway miles between fill-ups with a 15.8-gallon fuel tank. That’s a good, solid all-day road trip. The eAssist system captures up to 15kW of power that would be normally lost during braking and uses it to recharge the lithium-ion battery. The system also shuts down fuel delivery in certain deceleration conditions, further improving fuel economy. While in fuel shut-off mode, the motor-generator unit continues spinning along with the engine to provide immediate and smooth take-off power when the driver presses on the accelerator. As the vehicle comes to a stop, the motor-generator unit brings the engine to a controlled stop to position it properly for a smooth restart when the brake is released. My driving environment in the week I had the ECO included both in-city Chicago driving and a couple highway drives. The Malibu ECO accelerated smoothly and quite adequately. Highway merging and overtaking was done with ease. Engine operation was smooth and quiet. At the beginning of my driving week the outside temperatures were somewhat moderate and I didn’t need to use the air conditioning. The stop/start system, which shuts off the engine when you come to a stop, activated very often. The engine smoothly and quickly restarts seamlessly. However, later in the week the temps moved up and the air conditioning was needed. With AC on, the stop start system didn’t come in to operation. With the engine not running an ac system will blow residual cold air for between 5 and 15 seconds. Therefore, in a mild hybrid like the ECO, the gas engine is kept running to satisfy the cooling needs. That for me raised the question: What if I lived in the hot southwest or Miami or Houston and used the AC nearly all year long. Would a vehicle with a stop start system bring any benefit? Or, would it be money spent on a feature I would never use? 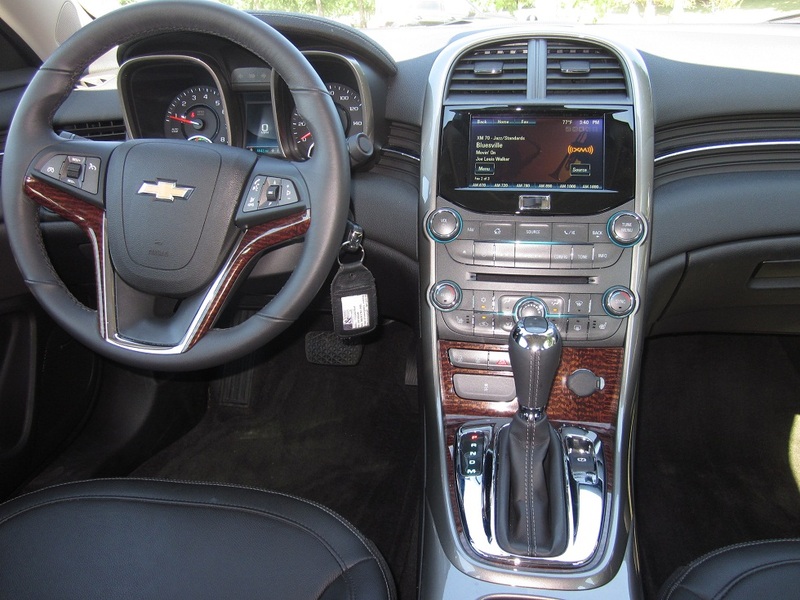 The new 2013 Malibu comes in LS, LT and LTZ trim levels, in addition to the ECO. Prices start at $23,150 for the LS and top out at $30,925 for the LTZ. The ECO has a base price of $26,095 and from an equipment comparison standpoint is most similar to the LT model with a base price starting at $24,765. That’s $1330 more for the ECO technology. My test car was the ECO 2SA model with an MSRP of $26,845. 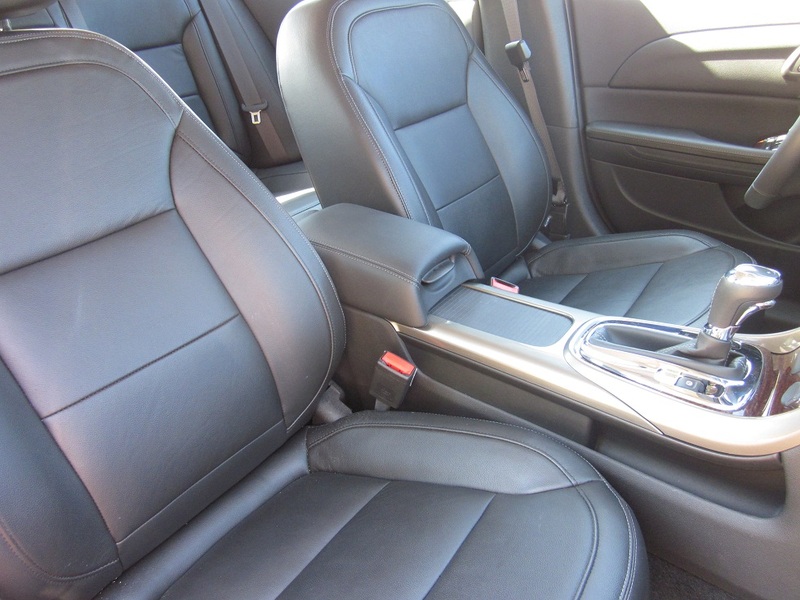 A Leather Package for $1300 brought leather seat trim, a front passenger power seat and heated front seats. Add in $325 for the Crystal Red exterior and $760 destination charge and things top out at $29,230. On the outside the exterior is quite attractive and very well done. It was a hard task to improve on the outgoing design from 2008 but Chevy’s designers did a nice job. The front has the distinctive Chevy face and the rear carries Camaro-inspired taillights. The interior is very comfortable, well laid out, and roomy. This Malibu is almost 3 inches wider and this makes for pretty comfortable seating for three in the rear. The Malibu ECO has a 13.2 cu-ft trunk, loosing some volume for the eAssist battery over the 16.3 cu-ft for the gasoline models. One item I always like in a crowded, narrow-street city is a folding feature on the outside mirrors. I missed that on the Malibu. It’s almost a must-have for me lest a passing trash truck knock the mirror off when parked. The non-ECO LS, LT and LTZ model will feature an all-new, fuel-efficient and powerful Ecotec 2.5L four-cylinder engine and next-generation six-speed transmission combination. It’s rated at 197 horsepower. A new Ecotec 2.0L turbo, rated at 259 horsepower, debuts this fall. In addition to the larger trunk these models have an 18.5 gallon fuel tank. Following a decade of work to electrify cars we’ll spend this decade putting the infrastructure in place to support those that need to be plugged in. Experts say that by the end of the 20-teens we’ll see a spike in the purchase rate of EVs and hybrids of all sorts. 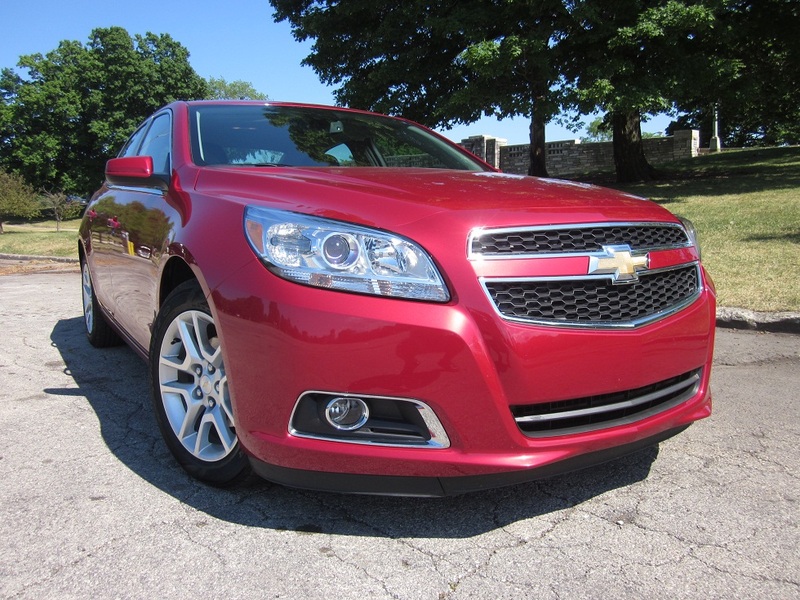 If you’re shopping for a 5-passenger mid size sedan, the good-looking 2013 Malibu deserves a good look.